Kellogg Community College next month will begin renovating its Regional Manufacturing Technology Center, a facility in Battle Creek’s Fort Custer Industrial Park that trains thousands of workers each year for jobs in the skilled and industrial trades. The $4.3 million upgrade – designed to prolong the life of the building – will include a reconfiguration of spaces to serve local employers, dedicated space for Michigan Works! personnel, replacement of the building’s heating and cooling system, replacement of electrical infrastructure, expansion of instructional space and repaving of drives and parking lots. The renovation will affect about 40,000 square feet of the 48,400-square-foot facility. Funding for the project includes $2.15 million from the State of Michigan’s capital outlay program, $1.07 million from the Battle Creek Tax Increment Finance Authority, $250,000 from the W.K. Kellogg Foundation and $830,000 from KCC’s dedicated capital millage, which local voters renewed in 2012. After reviewing bid packages, the KCC Board of Trustees on Wednesday, June 20, recommended a series of subcontractors for the renovations. Those bids have been forwarded to the State of Michigan for final approval, per the terms of the state funding agreement. 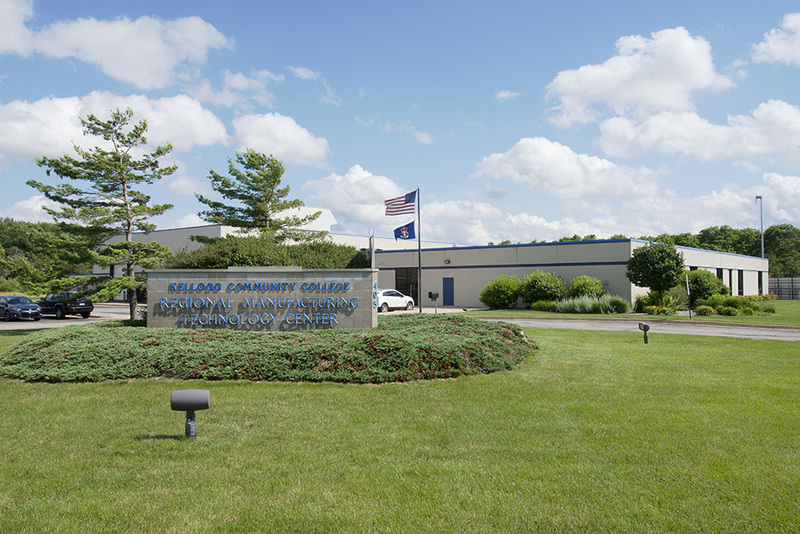 During the renovation, some offices and instructional spaces related to KCC’s Industrial Trades and Workforce Solutions departments will operate in portable buildings located on the RMTC property, 405 Hill Brady Road, Battle Creek. KCC’s services and classes are not expected to be interrupted during the construction, which is expected to begin July 11, 2018, and be complete in the spring of 2019.
mechatronics, heating, cooling, machining, pipefitting, welding, renewable energy, electricity and electronics and other trades. Although the College recently completed an 8,400-square-foot addition at the RMTC to house new technology equipment – the expansion was funded by the College and with generous support from the Battle Creek Tax Increment Finance Authority – the rest of the 28-year-old facility remained in need of renovations.